Editor’s note 5/1/2018: Due to a recent FTC complaint against LendingClub, we can no longer recommend this service with 100% confidence. Keen to try a new investment option — one with the potential for decent returns that helps other people get out of debt at the same time? 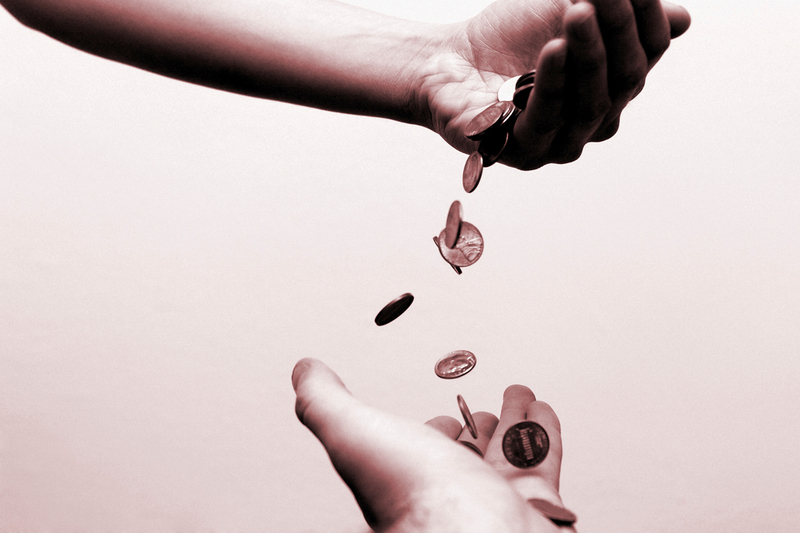 Social lending, or peer-to-peer lending, is a growing sector that connects borrowers and lenders. Companies like Lending Club offer investors another way to diversify their portfolios and earn monthly interest, while helping borrowers access better interest rates and smaller loans. Curious about trying this investment option? Here’s what you need to know to make a profit with Lending Club. Before we get into the details, let’s define social lending a bit more. Peer-to-peer lending (P2P) connects individual lenders and borrowers through online marketplaces. It effectively cuts out the middle man of the traditional lending process, in which financial institutions manage the transfer of money from lenders to borrowers. The process is more streamlined and efficient, and it reduces costs and hassle for both parties. It provides individual lenders a higher rate of return on their investment, and gives borrowers better access to the funds they need at a lower interest rate. It’s a win-win for all parties. With so many different P2P lending sites available, why should you choose Lending Club? For three years in a row, Lending Club has been number five on Forbes’ list of America’s Most Promising Companies. It’s the world’s largest peer-to-peer online lending marketplace for investors, and The Economist held up its success and growth — even through the recent recession — as an example of P2P lending’s potential. Create a more efficient, transparent and customer-friendly alternative to the traditional banking system that offers creditworthy borrowers lower interest rates and investors better returns. The main appeal for borrowers is the much lower interest rate on loans compared to credit card interest rates. They can apply for a loan of $1,000 up to a maximum of $35,000 to cover their personal debts. Borrowers who obtain a personal loan with Lending Club save an average of 31% over their current debt or credit card interest rates. This makes Lending Club a fantastic option for debt consolidation, or as part of a debt repayment strategy, for people hoping to save money and gain financial freedom. An interested borrower completes a simple loan application. Lending Club experts evaluate the information provided by the applicant, set an interest rate and present a variety of loan offers to choose from. The borrower picks a loan option and activates it on the site. An investor selects a loan for his portfolio and choose how much of it he’d like to fund (as little as $25); this fraction is called a Note. Once the loan is fully funded (whether by one investor or several), Lending Club transfers the money directly into the borrower’s bank account. Each month, as the borrower pays back the funds, Lending Club deposits the returns plus interest into the investor’s account. The investors can choose to withdraw his funds or reinvest. What’s in it for the lender? Consider it an investment in both the financial sense as well as the human sense: your loan earns you money while helping someone dig themselves out of debt. Can You Make Money Investing With Lending Club? While Lending Club shouldn’t be your only investment, it can be a solid, diversifying addition to your portfolio. Like with all investments, you should enter into the P2P lending sphere with a long-term wealth building mindset. If you employ a day-trader-type strategy — buying and selling stocks frequently — then a service like Lending Club might not be for you. A Lending Club account offers low volatility and a monthly cash flow, compared to investing in the stock market. And even though it’s not easy to turn a quick profit, you are allowed to withdraw, or reinvest, funds at any time. Since June 2007, investors have earned an average of 10 to 15% interest, which more than offsets any risk or defaults loans that might occur in their portfolios. Wondering about defaults? 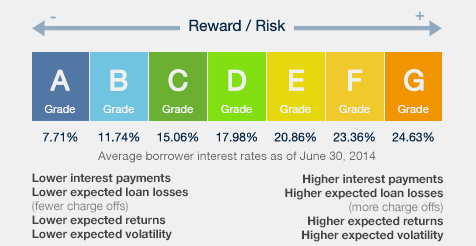 Lending Club evaluates each borrower’s credit quality and risk and assigns them a grade. If you’d like to stick to “less risky” loans, only choose those graded A or B — though understand you’ll earn less interest on those loans. The company has relatively low operating costs compared to traditional investment accounts, and it passes these savings along to investors in the form of solid profit margins and low fees. For example, Edward Jones (a full-service brokerage firm I’ve invested with) charges an annual $40 account fee, plus a 2% commission fee on all invested funds, no matter whether your portfolio has a loss or gain. Lending Club, however, only charges a 1% annual fee and charges fees if they were able to collect payment from the borrower. Service fee: This fee covers costs of operating and maintaining investor accounts, ensuring money is distributed to borrowers and paid back to investors. This annual fee is 1% of the payments received within a 15-day period of the note’s due date. Collection fee: If a borrower misses a payment on their loan, Lending Club says they employ the same type of practices a traditional bank or financial institution would. The company charges investors 18% of the amount recovered (if no litigation is required), or 30% of the litigation costs are incurred. Other than this summary, Lending Club doesn’t share much information about the collections process or how it affects investors. In fact, this is one element Taylor would like to see upgraded. What’s Your Lending Club Investment Strategy? When starting out, an investment strategy will help you leverage your money for optimal returns. Create a quick set of rules or must-haves before determining which notes you will choose. In other words, if a friend was going to ask you for money, what would you check to ensure you not only helped them, but were able to reclaim your funds plus interest? Base your investment strategy on these criteria. If you’re ready to get started with peer-to-peer lending, the first step is to check your eligibility. Every state regulates this type of investment differently, and not all states allow you to use Lending Club. To invest with Lending Club, you must earn at least $70,000 in annual gross income and have a net worth of $70,000, though some states require a higher net worth. If your total net worth is more than $250,000, you don’t have to worry about the annual income requirement. Individual account: This is the simplest account for your personal use. Joint account: If you plan on having an account with joint interest for two or more people, then this is the account you’ll want. Carrie Smith (@carefulcents) is a money maverick, writer, and founder of the blog Careful Cents. In May 2013 she quit her small business accounting job to pursue full-time entrepreneurship and blogging.